Why Are Some Nonprofit Boards Missing the Mark? What to Do? Many new board directors are in the dark about some of the operating issues facing their organizations. 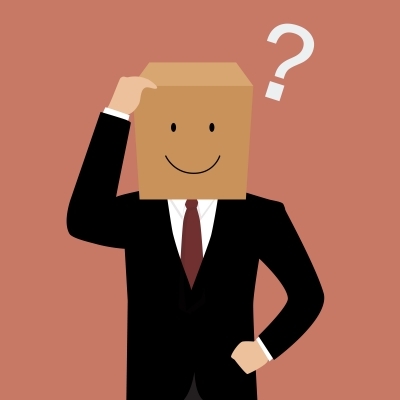 Such information gaps are less prevalent in trade and professional associations because most directors are in associated fields or are in practitioner positions. However, new directors of community based charitable organizations and human services focused nonprofits should be much more attuned to discussions at initial board meetings. Current methods of orienting new directors don’t seem to be doing the job. This is critical for those boards with rapid turnover. For example, one board with which I am acquainted has 80% of its membership with no more than 18 months tenure. Orientations can take a variety of forms, ranging from brief pre-board session to pre-meeting phone calls from the CEO or Board Chair. These updates will provide the new board member with information that should make his/her participation in the board meeting more meaningful. The media, Internal Revenue Service, foundations and accreditation organizations are asking for more information and transparency to ensure that nonprofits have quality processes to overview management impacts. Few nonprofit boards can afford rigorous third party directed board self-assessment, the gold standard. However a self-review deficit might leave some board members with significant personal liabilities. ** Consequently, it is my personal opinion that nonprofit boards need to make good faith efforts to have reasonable self-reviews, understanding that management and board members may hesitate to negatively reflect on volunteer directors who have adopted poor decisions. “Management Capture” occurs when a board too readily accepts a delusional view from management that organizational performance is significantly better than reality. As a result, some board self-examinations may take place only after a crisis has been resolved. So it is mandatory that the boards develop rigorous impact measures, both quantitative and qualitative by which to judge organizational and board performance. Models for self- board assessments are available from professional groups and consultants. Miles maintains that most for-profit directors lack real experience in succession planning: this is also true of nonprofit directors. Even in for-profit boards where a chief executive is temporarily incapacitated, there often is no plan for interim succession. Plus there is always the possibility that a CEO will leave quickly for a variety of reasons. Planning for his/her unanticipated exit should be an ongoing board concern. One root cause for having a nonprofit culture of board inexperience is that often there are too few directors who have served on other for-profit or nonprofit boards and know how to be role models for newer recruits. Also, normally serving one or two terms, lasting three years, some experienced nonprofit directors may not be motivated to serve in this role because there are no financial incentives offered. However, as demonstrated in the Penn State debacle, a director’s reputational risks can be substantial. How a board evaluates and improves its organizational talent pool is critical to performance. 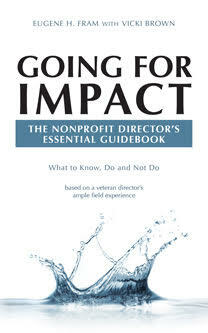 Miles characterizes the optimal board as composed of ” … directors who are active in their roles engaging individually and collectively (to engage with) other directors and (overview) management.” It is a tall order in today’s nonprofit environment. For-profit organizations or nonprofit organizations, in my opinion, have five identical basic board guidelines. For Deloitte Partners, a worldwide accounting and financial advisory firm, these constitute board responsibilities that can’t be delegated to management. The board has responsibilities to have: a viable governance structure, annual assessments of (board and) organizational performance, driven strategic planning, improved management talent and assured organizational integrity. ** For examples, see the Intermediate Sanctions Act, Section 4958 of the Internal Revenue Service Code. Also see the Expanded IRS 990 form guidelines for board structure and performance–38 new questions related to nonprofit governance.